It’s time to start making plans for the upcoming Super Bowl Game. Time to decide what your going to make or bring to one of the many Super Bowl parties that will be taking place on Sunday, February 5th. Even if you staying home to watch the big game chances are you’ll be making something special. This year, why not make calzones? 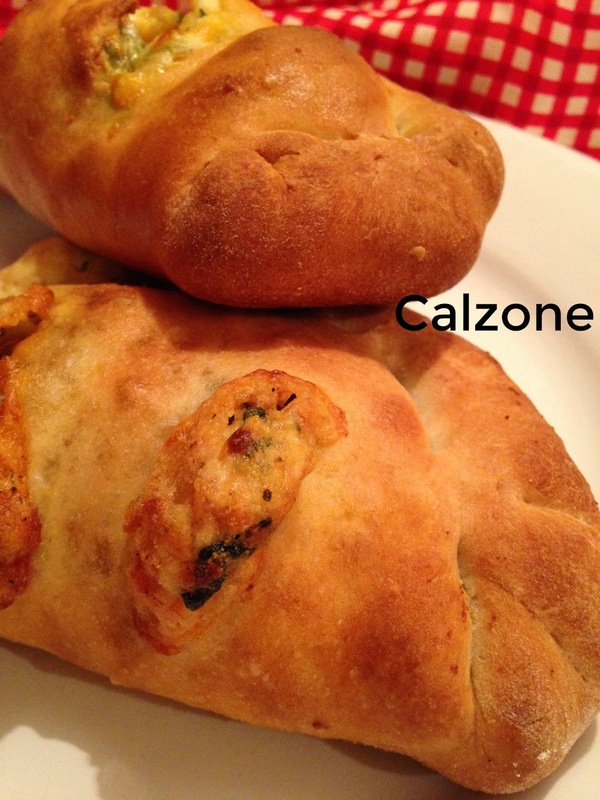 Calzones are much easier to make than you might think. They can be made with many different ingredient combinations and are always delicious. They’re a great way to use up any left-overs you have hanging out in the refrigerator. Calzone is basically a portable sandwich with the sandwich filling enclosed in some kind of dough and then baked until golden brown. This recipe uses store bought pizza dough, jarred pizza sauce, Italian sausage and fresh spinach, among other things. Sounds good, doesn’t it. Brown ground Italian sausage, drain. Set aside. In same skillet, saute onion and garlic until softened, stir in the spinach until it wilts. Stir in brown sausage. Let mixture cool about 5 minutes. Stir in the cheeses. Set aside. Preheat oven to 450º Line baking sheet with parchment paper. Press dough into a flat disk, then using a rolling pin, roll disk into an 8-9 inch circle. Repeat with the remaining pieces of dough. If dough starts to shrink back on you, let it rise for five minutes and try again. 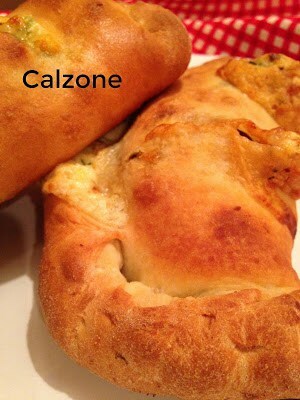 Spread a little sauce on the calzone dough, spread a generous 1/3 cup of filling in the bottom third of the calzone, leaving a clear border around the edge. Fold the top of the dough over the filling and press to seal or roll the edge up and fold it over on itself to form a more secure, decorative crust. Transfer calzones to parchment lined baking sheet. Brush calzones with olive oil. Slice steam vents in the top of the calzones with a sharp knife. Bake calzones for 15 minutes, rotate baking sheet and bake for another 15 minutes longer or until calzones are golden brown and filling is bubbly, don’t worry if some filling spills out. 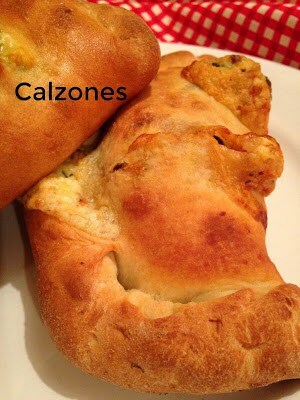 Allow calzones to cool for a few minutes before eating.